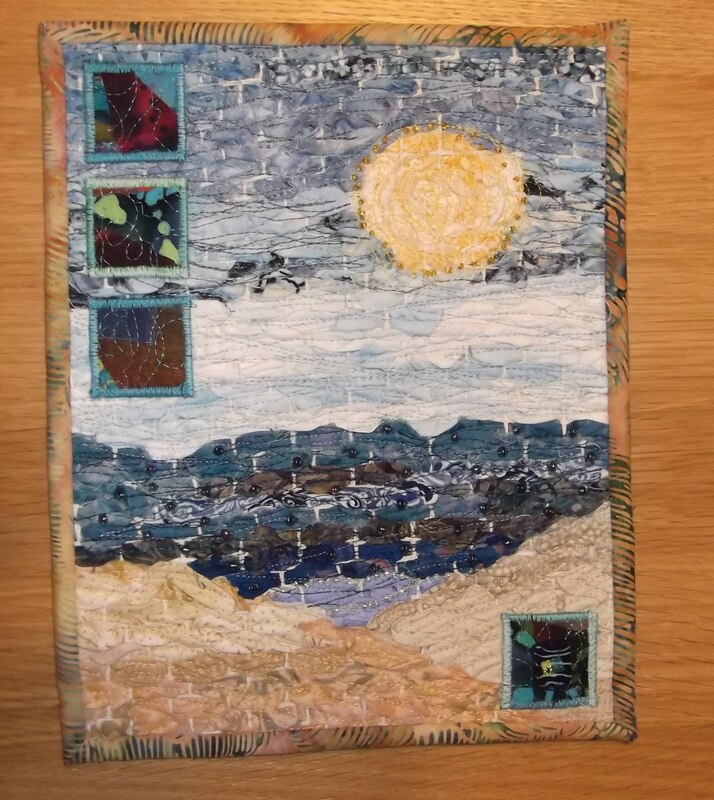 This quilt was made using only those items I had on hand. The background is woven with fabric strips into rug canvas fabric which is the base used for rug hooking. After weaving the fabric, I stitched the top of the woven piece in order to show shape and movement. 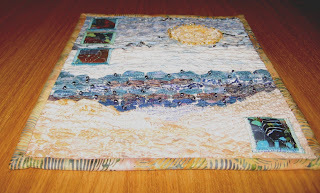 I embellished the piece with a variety of sizes of seed beads and a focus bead in the lower right corner. The square fabric pieces were made using raw edge applique and free form machine quilting with a blue metallic thread. Perhaps the thoughts of warm sunshine at the ocean will banish any winter blues that may be hanging around.